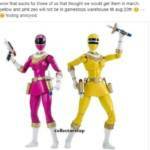 Awhile back some fans discovered that GameStop will be the future home for the upcoming Power Rangers Legacy Zeo Pink and Yellow female figures. Fans has been speculating for months the future of these female figures with the lack of information regarding their release and the subsequent removal from their respective series of figures. Up until today fans were able to pre-order these figures from GameStop with an early March 2018 release. Unfortunately the date has been changed as of today to August 20th 2018. We reached out to Bandai America but have not received a response. We’re also awaiting details on when and where the Power Rangers Legacy Dino Thunder Yellow Ranger will release. Stay tuned for more news as it breaks. Thanks to Joshua Kelley, posting on the Facebook group The Ranger Store, for the initial heads up on the change of release dates. It’s a new year! And what better way to start a new year than with some new toys! Our site sponsor BigBadToyStore.com has just sent out their latest newsletter and included are some listings for all the HOT new Bandai Japan/Tamashii Nations Pre-Orders for your favorite Kamen Rider, Ultraman, Super Sentai, and Power Rangers needs. Check out the new listings, some classic must-buy listings, and some stuff in stock below! For the best customer service online check out BigBadToyStore.com! Don’t forget to use their Pile of Loot shipping option to save you TONS of money on shipping! Order now, ship later, combine everything for one low shipping price! Please check out the full newsletter by clicking “Read More”! With the weight of declining retail sales this holiday season, reports are coming out from Bloomberg that Toys’R’Us, the only remaining national toy store, is considering closing up to 200 of its retail stores after the holiday season. Toys’R’Us filed for Chapter 11 Bankruptcy Protection in September as it was unable to pay the millions of dollars of debt that was coming due. However, due to its inability to pay toy manufacturers for the product on its shelves – specifically Hasbro and Mattel – the toy shopping season has dropped upwards of 15% compared to last year. The exact number of potential store closings is only speculation, but the report from Bloomberg states from insiders that the company is projecting at least 100 stores and up to 200 stores total. This report comes on the heels of another report that stated Toys’R’Us won the ability in court to make sure their executives were paid $15 million dollars in bonuses for the 2017 fiscal year. Our thoughts go out to the hard working employees who could be impacted by store closings. As to what could happen to upcoming Power Rangers Legacy items, which are exclusive to Toys’R’Us, is currently up in the air. We’ll keep you updated. A report today from various news sources (we’ve chosen to look at BusinessInsider.com) tells us that Toys’R’Us is spending a lot more money than it has been earning over the last fiscal year – to the point of $400 million dollars more – and has hired a law firm to help consolidate its debt while considering the option of filing for bankruptcy protection. This is not the first time the retail toy store has dealt with financial woes – in 2003 the company closed 180 stores across the country. Toys’R’Us blames a large portion of their current losses not to a failing toy industry but to losses from its Babies’R’Us sister store, which saw over a 3.0% decline in year over year sales and a massive drop in diaper purchases as consumers can find cheaper deals for their infant and toddler necessities online. Either way, if Toys’R’Us shuts down more stores or ends up going out of business altogether, fans of Power Rangers wonder what the future of the Legacy toy line may be. 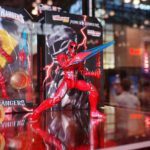 With the release of the Power Rangers Movie failing to meet expectations, the movie toy line warming shelves in stores, and the Power Rangers Ninja Steel toy line already hitting clearance prices across the country, having the biggest partner of the franchise possibly go under is not something to keep one optimistic about a future of increasingly expensive Power Rangers collector items. We should know more about this on September 26th when the next earnings report is due to be made public. With the hiring of a private law firm to work on consolidating debt, we assume the report will be dismal at best. Stay tuned for more news on the future of Toys’R’Us. Great news for you Power Rangers collectors – the black and gold Legacy Titanus and the Legacy Power Sword are now available both at your local Toys’R’Us store as well as online! If you have a spare $150 or two lying around, do yourself a favor and order today! We’ve included the direct links to order below. Happy ordering! Have you found the new Legacy Power Rangers items? Let your fellow Power Rangers collectors know in our Sightings forum! It’s broken down state by state so you don’t have to dig through a bunch of threads to find what you’re looking for! Happy hunting! 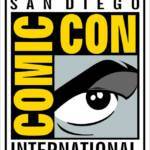 San Diego Comic Con is happening THIS WEEK – and we’re proud to say that we’ll be there to bring you all the news, all the information, and all the pictures you’ve come to expect from us over the last 5+ years. While there is no movie to be released this year there are still plenty of Power Rangers related activities and panels happening at the show this year. Below is your COMPLETE list of events and activities happening involving your favorite spandex-clad heroes. There is a 100% chance we’ve missed something or some guest that flew under the radar – as we get that information we’ll update this list. But please use this as a guide as to what is happening, when it’s happening, and what to expect. For the full rundown click “Read More“. Be sure to follow us on all of our social media outlets so you don’t miss a single update as we cover the show! I know you probably weren’t expecting us to double up on galleries from B-Robo Kabutack with this years’ Toku Toy Box, but just for Christmas we wanted to give you an incredible treat. Today we’re sharing an unprecedented look at an elusive figure of which only 5 exist in the world. We are proud to present this full gallery of the Superchange Silver Chrome Kuwajiro! You read that right. This incredibly rare figure was limited to just 5. These figures were awarded to 5 young lucky Japanese fans for a Coloring Contest hosted by TV-Kun Magazine in 1997. Since then they’ve mostly faded into obscurity. Most Metal Hero collectors simply don’t know this release exists. The other 4 Kuwajiros are currently in collections somewhere across the world but I was lucky enough to stumble upon an auction for this one myself. And now I’m immeasurably proud to be able to share this full gallery of it below. We’ve taken over 50 photos of this incredible figure and you can view them all by clicking “Discuss on the The TokuNation Forums” at the bottom of this post. It’s purchases like these that truly excite me. I absolutely love sharing looks at obscure & rare figures with this community, and Silver Kuwajiro fits both those criteria fantastically. I hope you enjoyed this gallery as much I did! The anticipation is over – the Legacy Power Rangers Ninja Megazord is here! And we sat down with this beautiful piece of a toy and took over 100 pictures to share with you. But every toy has its flaws – and the Legacy Ninja Megazord is no exception. Check out a handful of pictures in the story and then check out the full gallery by clicking here. Have you picked up this figure yet? If not – what are you waiting for!? Check out the Legacy Power Rangers Ninja Megazord Gallery by clicking here!